Today is the last day at Penny’s Place for Mia – Mia has been attending since she was just over 12 months old and is only leaving because she is going to ‘Big School’ and mummy and daddy do not require before and after school care for Mia. So a bit of a sad day – but also day to celebrate – and we have celebrated today. Mia’s parents provided a caterpillar cake (very appropriate as ‘our’ caterpillars are currently the center of attention as we wait for the transformation from caterpillar to butterfly) and a party bag for each child. The children all made party crowns, played their favorite games – and after rest time, they all had their party bags. Penny inflated the giant balloons and added some rice, she also inflated the princess magic wands and the giant hammer from the party bags. The children and Penny sang and danced with the balloons (which happen to be two of Mia’s favourite activities) had a lot of fun and made a lot of noise. As a treat the children watched a DVD – their choice – which happened to be ‘Number Songs’ -while the children watched and joined in with the number songs – Penny was able to gather all of Mia’s things together – The farewell presents and cards – including the large group one – ready for home time. Yesterday Mia had taken home her photographic record of her time at Penny’s Place – all 120 pages of it – full of photo’s of Mia and her friends – together with comments written from Mia’s point of view. As Mia’s place is already booked up by a new little one – due to start in September and Penny has been thinking what will be the situation be in relation registered childminding and Penny’s Place in 3 years time? One thing is certain there are going to be changes – lots of them – some we know about already, some we have yet to be given full details about – and some have not even been thought about because between now and when this new child that is starting at Penny’s Place is due to go to school we will have had a general election – and possibly a different political party at the helm. There is little point in worrying about what we do not yet know or about the results of the future general election, however the proposals currently being pushed forward by this government are causing Penny to worry as they may well change registered childminding as we know it now – and therefore Penny’s Place as we know it now. The pilots are starting in August – yes in a couple of days – the pilots are to be evaluated in early 2014, with final evaluation in March 2014 and rolled out across the county from September 2014. Then there is the fact that some childminders are ALREADY being approached by companies that are going to set up agencies – very worrying as not yet law and changes could still be made before it is law. Penny hopes no one signs up yet – would be very foolish to do so before the facts are known. It is not a secret that Penny WILL NOT be joining a childminding agency – however the impact on Penny and Penny’s Place could be considerable – and could mean that Penny’s Place does not remain sustainable or that childminding in the future evolves into practice that Penny does not consider to be in the best interests of the children. It is all speculation at the moment – and worse fears may be unfounded – but Penny has been around long enough to know that if rumours start that are unfounded and make a proposal seem worse than it is – that counter rumours (if not actual facts) are leaked to the media so that potential ‘damage’ is limited. In the case of Penny’s worries about childminding agencies – there have been no ‘counter rumours’ or ‘leaks’ to the media. So why is Penny worried about the impact on sustainability of Penny’s Place and her career as a registered childminder? First there is the cost of remaining an independent childminder – no facts as yet, but it is possible that the fee payable to Ofsted may go up – considerably- because the Government have made it clear that they can not go on subsidising the cost of childminder inspections – and being realistic those that join an agency will be paying more for their inspections as they will be paying via the agency whatever fee they set – certainly the £35 per year that childminders currently pay Ofsted will not cover the cost of support, regular monitoring and training that have been mentioned in Government documents about childminding agencies. Therefore increased costs could mean Penny may have to increase fees to parents or cut down on training or spend less on resources or a combination of these things – let’s hope not as for Penny none of the choices would sit comfortably with her ethos. Another area connected to childminding agencies that concerns Penny is her fear that the government may through the media, through children centers and so on ‘sell’ the idea of agency childminders being ‘better’ than independent childminders to parents and parents to be – making it harder for Penny to convince potential clients that as an independent childminder she is able to provide appropriate care and education for their child. In fact Penny thinks the government is already trying to under mind those who are not teachers or teacher led – by suggesting that those without GCSE Maths and English are not as capable as those with the qualifications- and that those children who are cared for by graduates / teachers will do better than those who are not. All very discreet but the message is already ‘out there’ and being spread. Penny wonders if the childminding agencies will be ‘teacher led’ – ie they employ at least one teacher to support and advise the agency childminders – and in doing so – by default – making all the agency childminders meet the governments stated preference as being teacher led? Penny wonders if the government will slowly move the goal posts so that to provide the Free Entitlement childminders have to either hold one of the proposed new Early Years qualifications – or be ‘teacher led’? Penny has mentioned before ‘back door’methods of getting childminders to join agencies – and the above are examples of ways that the government could do this. Create ‘Hubs’ around school and children’s centers with childminders being seen as ideal for all the anti school hours and the collecting from one setting to take to another setting role – in other words all the ‘bitty hours’ that no one else wants and which are unlikely to create enough income to make a childminder sustainable. What is worrying Penny most is the governments complete lack of understanding about how children learn through play and the governments insistence that formal learning (and testing) are the way forward – because Penny completely disagrees and will do everything in her power to stop the government from implementing these ideas – which in Penny’s opinion will have long term consequences for the children of this country and society as a whole. Please support Penny and her colleagues – as Penny would really like to be hosting another leaving party in 3 years time when child taking Mia’s place is ready to go to school. 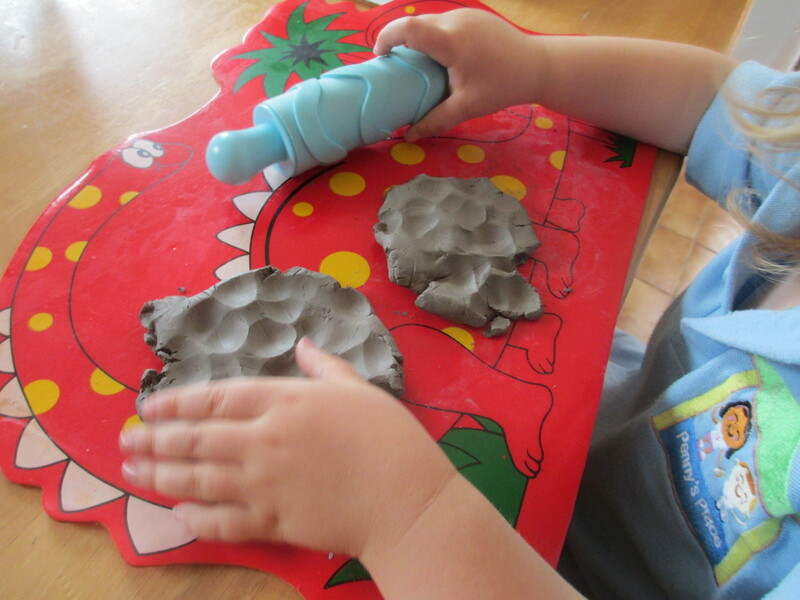 And after reading – Penny felt very guilty – because she does have clay in her setting but it has only been used ONCE – in fact Penny thinks the children currently in her care were babies last time it was used and so they did not experience it even then. Penny mentioned her quilt on her Facebook page and several people commented that she should not feel guilty and that the children in her care experienced a whole host of wonderful experiences. True they do – but Penny still felt guilty. 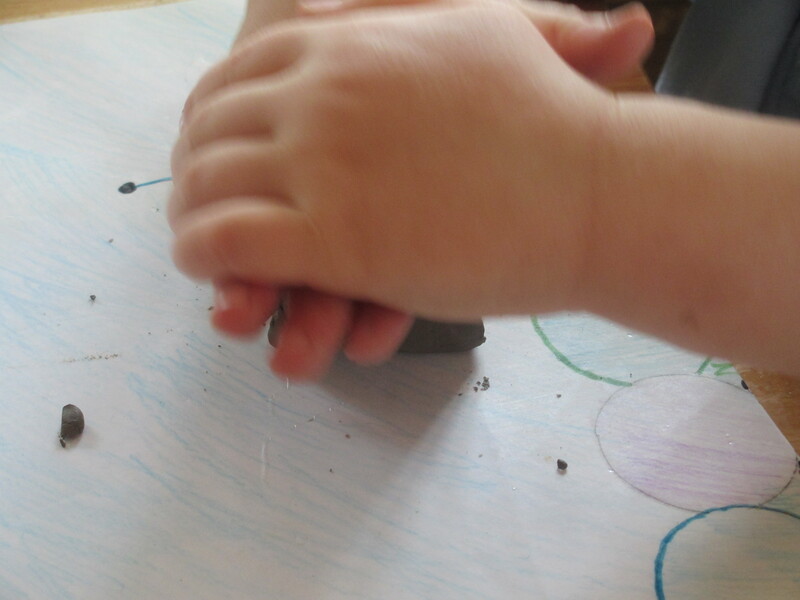 And so – just 4 hours after reading the blog from ‘rightfromthestart’ – the children in Penny’s care were playing with the clay. I did actually set up the blog on 11th July 2012 – but to be honest I did not have a clue about what I was doing – and so spent a lot of time between 11th and 20th July being very frustrated and getting nowhere fast! I have learnt a thing or to since then – but there are still many ‘options’ and ‘tools’ on here that I still do not have a clue about – and won’t unless I have reason to use them! And I still don’t know how to get the page layout to look like I want it to – pure pot luck as to how it looks once published! My typing has got a little quicker – but I still type with one finger and my thumb on my right hand and one finger (occasionally) on my left hand – basically if I want to press the button to do capitals! My spelling / grammar has not improved that much – although there are some words that I can now spelling more or less correctly – well enough for the spell check to have a reasonable chance of guessing what I am trying to spell!! My confidence in my ability to write something that people might be interested in reading has grown – although I am still surprised that people do want to read what I have written – and even more surprised that people are prepared to ‘skim over’ the typo’s, the spelling mistakes, the terrible grammar and that the fact that the words come tumbling out of my head at a faster rate than I can type – and refuse to make sense on paper (often even to me, if reading back later). I know that compared to many other blogs these stats are not impressive – but to me they are – I thought that maybe – if I was lucky I would get a dozen or so views of each blog – and then only from close family and friends – so yest I am impressed and delighted. My husband for his understanding that I am always saying ‘in a minute – I just want to finish this’ – and then in half an hour or so finding I have still not ‘finished’ – and for putting up with blogs that mention ‘Mr. Penny’s Place’ when in fact his name is Garry! Will I blog as much? – I hope not because I hope my campaigning blogs will come to an end – hopefully because the government has seen sense. I do hope to resume blogging a lot more about childminding, my childminding practice and childcare in general. Will I do any more ‘paid for’ articles? – well if asked – but actually being paid to write does not sit that comfortably with my ethos – as I prefer to share information freely and to support those that ask for support in whatever way I can – BUT I realise that by writing for magazines etc I can reach a much wider audience and so as I say, if I am asked to write for a magazine, I will do so. Would I speak at conferences? – yes if asked (although I hate public speaking and lack confidence but I will – and do – do public speaking ) – but most likely would do for free or just for travel expenses – same for speaking at local events/ group meetings / AGM’s and so on – or providing training to colleagues. My whole ethos is based on the child comes first – and as part of that, sharing information in whatever way I can – has to be for free or just to cover expenses – as I don’t feel it is right only to provide information to those that can afford it – or to make money myself from providing that information to others. (Even when I was paid by a local authority to support others – I did far more unpaid hours than I did paid hours) It is because of my ethos that I volunteer for the organisations that I am involved with. Have to say not everyone – including family and friends agrees with me – but I am who I am and I have to be happy with what I do and how I do it. Sorry – I got a bit carried away with the whole ‘ethos’ thing but it is why I blog, why I am who I am, and why I will always help and support others – if I am able to do so. Thank you for reading this blog – and if you are a regular reader thanks for your support. Posted July 20, 2013 by psw260259 in Random Things! This morning my inbox contained an email from one of my Linkedin contacts Tom Shea, and with permission from Tom I am sharing via my blog. n writing this I would share with you that I regard myself as a person who looks for actions over words and believes that a picture says a thousand words. I am an “agent entreprovaracateur”, (a cross between and agent provocateur, and entrepreneur and a provoker) not normally a writer! However, I am so concerned that as a world we continue to look at the black or white when we live in shades of grey. ‘We’ are not right, they are not wrong. Collectively we all need to be clear that improvement needs to be made AND recognise that what we do with and for the very youngest children is not just important, it is an imperative and we can change black, white AND grey to beautiful colours. I am an evangelist of the knowledge that our brains develop to almost 90% by the age of four – so as a society we big people need to focus all our efforts on the new born. If we do this effectively, that we do it well, their generation will be substantially better prepared for life and enabled to achieve their full potential. To fail them at this age is an act bordering on the criminal and, sadly, the early years sector society has not always lived up to that challenge. This needs to change. I advocate that ‘play’ is the fundamental life blood of being, not just learning; that the ultimate deprivation of play leads to death, not a sadness of being; and from this knowledge believe play deprivation causes permanent damage and that negative ‘play’ is as damaging as deprivation. As a sector and worldwide profession, we are slowly growing, from a caterpillar of being a ‘service’ of babysitters, to becoming a cocoon of a ‘profession’ where pedagogical butterflies can emerge to join all of the butterflies already doing it – flutterbying is the order of the day. Our children need the very best opportunities. They deserve a professional workforce who can combine the sparkle of childhood with the understanding of brain development. We do not need sweeping generalisations, massive commercialisation or a growth in education. We need resources that actually enhance practice and potential, not just commercially exploit our limited budgets. We need to be clear that we will not tolerate; bad practice, bad products, poor training, exploitation, inappropriateness and greed. We will embrace the natural, the adventurous, the challenging, the innovative and the best – not necessarily the most expensive or the latest technology. We need to develop the argument that countries which commence the journey into more formal educational methods start to at 6 or 7 years of age, develop quicker, better and more skilfully than cramming at four, five or even six. That said the most successful of these systems still retain a strong foundation in play and creativity. We need to ensure that risk and challenge combine with safety and that “killing 99% of household germs” may just discourage immune systems. As I begin the last part of life (I feel somewhere between 5 and 23 years old BUT in grown up years I am 60) I am trying to build up a network of people and resources that actually do good. Awkward about people seeing us a people selling products – we don’t push hard enough to get our products out there (all help gratefully received) but maintain the quality and economy of lots of things. We are ethically based by instinct and design – we don’t exploit people, we are honest, so we tell you what you need not what we have (and often we don’t have what you want but know someone who does). We do it with quality and integrity. • Child First is five day nurseries in very different way and in very different settings; that all welcome visitors and do everything from duck raising to forest nursery to organic food – but all in a very interesting way – the staff teams are exceptional. • The Bunk Cot – combines self managed opportunities for children – with children able to chill out and sleep without big people intervening. • Naturally Learning is a growing company which embraces all that is good in child development – with its own nurseries. • Fafu is a company using child design and beautiful fair trade materials, manufacturing to create what some would call “dressing up clothes” but that is a bit like calling truffles mushrooms… and Fafu is segueing in and around other things. • Dragonswood builds with wood… for children and others… it’s not about swings and roundabouts or furniture – it’s about playing and space and natural timber. • Rokkaplay is a small but growing Cornish Company with a most innovative designed piece of open ended equipment. • Sound Children combine amazing musical expert artists – who have created training and encouraging resources with real instruments for real children. • And Mother Nurture – an organic play person who is growing slowly into a ‘sourcer’ (or a sorcerer?) of innovative and exciting child led organic resources. • Elska – a really inspirational performer from the Island of Elska an imagination place that understands children, understands childhood and is set to change Elska from a performer, songwriter artist to a worldwide place and character – and wait until you hear and see her on video – and hear the synergy with Fafu. Check out you tube and i tunes…. Text in bold taken direct from the government document Link to More Affordable Childcare document Comments under bold statements are my personal opinion. Reliable and affordable childcare is vital to giving parents the choice to get into and remain in work. We know that for many parents, before and after school and holiday care is the most difficult and costly to find. In some areas it is hard to find childcare but in other areas there is availability. The difficulty is the ‘affordable’ bit because high quality childcare for all ages does cost a lot of money – no getting away from that fact. However it seems that the government is determined one way or another to make childcare providers bear the brunt of the costs in making it more affordable to parents by asking them to do more for the same or less money – and by removing support, and quality benchmarks – the very ones that ensure that settings provide that high quality care and education; rather than taking any responsibility themselves to provide upfront for childcare costs which would in my opinion repay the initial outlay many times over in the future. We want to encourage more schools to follow the examples of trailblazers like Harris Academies and the Free School Norwich by offering parents childcare before and after school and during holiday times, working with private and voluntary providers if they want to do so. Today Harris Academies has committed that every new Harris primary academy that opens will offer a wrap around care service from 8am to 6pm as a minimum for the children that attend. The Free School Norwich offers childcare for parents before and after school and for 51 weeks a year, all on a self-funding basis. Government wake up – childcare from 8am to 6pm only meets the needs of some parents and some children. And I know you are creating hubs where you hope childminders like me will cover the anti social hours and provide a pick up and drop of services to before and after school clubs. However have you thought how this would sustain childminder businesses? Or how it would fit in with the family needs of childminders with their own school age children? Or the needs of any under fives who could spend most of the day in a buggy or a car seat doing these drop off and collections – to before and after school club, to and from school itself, to and from nurseries and pre schools for those children whose parents want them to access their Free Entitlement in a group setting? The government wants to make it easier for nurseries and childminders to expand by extending the planning relaxations recently introduced for state-funded schools to nurseries, such as using vacant office space. All good and outstanding childminders and nurseries will automatically be eligible to receive government early education funding from September. At the moment local authorities act as gatekeepers to this funding. This change will mean that over 80% of nurseries and over 70% of childminders would be able to receive this funding. Less than 10% of childminders currently offer funded places. This reform will help create a fairer market for childminders, which alongside the introduction of childminder agencies should see increased choice for parents who want high quality home-based care. I approve of this proposal and already benefit myself from my LA already implementing this – and have argued that whatever is in place should be standarised across the country. BUT who is going to support these childminders and nurseries, as no one is going to be providing support to those graded good and outstanding in the future – and as everyone knows an Ofsted grade is a snap shot of one day – and can be awarded when only there are not children of that age present – so where is the quality judgement on that age group. And who is going to ensure that those childminders maintain that standard? This change will free up local authorities to work in concert with Ofsted to improve weaker providers and attract new strong providers to their areas. Having worked for a Local Authority and as I maintain strong links with my Local Authority – I believe this is not a positive move – it is the local knowledge of all settings that enable local authorities to provide the support needed and when it was needed, to ensuring training met the needs of all its providers and passed on good practice seen in good and outstanding settings to those with lower grades: thus knew who was struggling (and even Outstanding providers can struggle every now and then), and who did not need support at that moment in time. In my opinion this proposal will in the long run lead to lower quality across good and outstanding settings – and a lack of local knowledge. We will also seek to address historic unfairnesses in funding by looking to introduce a national funding formula for early education in time. It would make sense to use school buildings in school holidays – and before and after school – however as already stated the hours do not suit a lot of parents – and some children do not flourish in large groups or want to spend their holidays doing structured / planned activities. 2 year olds in school nurseries continue to cause me great concern because the environment and routines that are necessary due to school timetables and building restrictions just are not suitable for 2 year olds. Learning Journeys are not actually a requirement of EYFS 2012 – so I have to ask – ‘what other paperwork?’ Are we going to be drip fed some more information in due course? we will support parents to make common sense arrangements with their friends and neighbours by increasing the amount of time that a child can be looked after informally from 2 to 3 hours per day. So will the requirement to register with Ofsted also increase from 2 to 3 hours for everyone. Surely anyone could say they were a friend or a neighbour, and have seven, eight, a dozen children in their care for 3 hours and be rewarded. And what stops’friend or neighbour’ then dropping the child to another ‘ friend or neighbour’ for 2 or 3 hours – in fact a whole dayof childcare could be arranged on this basis. Many school-aged children, including those in Reception year, receive childcare outside the normal school timetable, for example at breakfast clubs or during the holidays. Parents and children are of course right to expect that this provision is safe, and the government will reaffirm the expectation that out-of-hours providers meet essential welfare and safeguarding requirements. But the current arrangements also include, for children who are also in reception class, a requirement for out-of-hours providers to be guided by the learning and development requirements of the EYFS. The government considers that this is excessive for this type of care: children will experience sufficient learning and development activity during their school day. The government therefore proposes to remove the learning and development requirement for out-of-hours providers, in relation to children attending Reception class. The government proposes to remove requirements that prescribe staffing and qualification levels in relation to childcare provided for school-aged children (up to age seven) outside the school day in order to align out of school provision with the requirements that govern the safety of children during the school day. Currently, providers other than childminders on the compulsory part of the GCR must observe a minimum of one adult to eight children. The manager must hold a relevant level 3 qualification and half of all other staff must hold a relevant level 2 qualification. For providers on the voluntary part of the GCR, at least one member of staff must have a relevant level 2 qualification, or training in the core skills as set out in the document ‘common core of skills and knowledge for the children’s workforce’. Apart from childminders, most providers on the GCR are before/after-school clubs, or holiday clubs, where children should be free to relax, experience new things and/or develop new skills. They offer a break from the more structured learning they experience in the classroom. Parents rightly demand that childcare should be safe, and the government is strengthening safety measures – for example by requiring all providers to have at least one person trained in child protection. However, it is sensible that other requirements should be aligned with those in place during the school day. The staff qualification and ratios requirements will also be removed for providers (other than childminders) registered on the EYR and offering care outside the school day or in school holidays for children attending reception class. This will ensure consistency between requirements for these providers and providers of similar care for older children and the requirements that govern these children during the school day. The government intends to introduce greater flexibility for providers by enabling them to register multiple premises through a single registration process. Currently, providers are required to submit separate registration applications for each set of premises in which they intend to offer childcare. This may be discouraging providers from setting up new, or expanding existing, provision. In particular, for schools wanting to engage other providers to offer out-of-hours (‘wraparound’) care on suitable school premises. The requirements can also discourage registered childminders from expanding their business by operating on suitable non-domestic premises for part of the working week or during school holidays. The government proposes to enable providers to register more than one set of suitable premises in a single process, and to notify Ofsted of any new premises without having to complete a new application to register each individual premises. When they are notified of new premises, Ofsted will continue to satisfy themselves as now that each of the premises is suitable, both at registration and inspection. The government will clarify a particular aspect of existing ratio requirements, to remove possible ambiguity in this area. The EYFS (paras 3.32-3.36) includes a requirement for providers to observe a 1:13 ratio with children aged three and over, when deploying a teacher (or Early Years Professionals or other full and relevant Level 6 qualification). We expect the teacher to be working with children for the vast majority of time. Where they need to be absent for short periods of time the provider will need to ensure that quality and safety is maintained. In addition, the government proposes to remove the restriction on providers’ deployment of the 1:13 ratio for three and four years olds. Currently, this ratio can only be applied between 8am and 4pm. The government intends to extend the ratio to any times when a teacher (or EYP etc.) is working with three and four year olds. All good and outstanding childminders and nurseries will automatically be eligible to receive Government early education funding from September. At the moment local authorities act as gatekeepers to this funding. This change will mean that over eighty per cent of nurseries and over seventy per cent of childminders would be able to receive this funding. 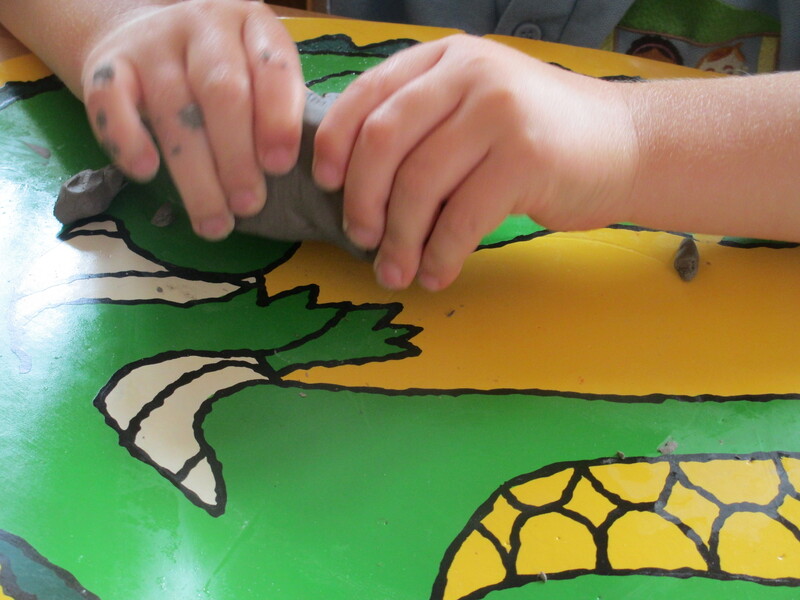 Less than ten per cent of childminders currently offer funded places. This reform will help create a fairer market for childminders, which alongside the introduction of childminder agencies should see increased choice for parents who want high quality home-based care. Supporting parents to access more informal care. The government proposes to support parents to make common sense, informal arrangements with their friends and neighbours by increasing the amount of time that a child can be looked after from two to three hours. Two hours a day is overly restrictive for parents needing more informal care either side of the school day. By raising the threshold to three hours before providers need to register, the government aims to further expand the supply of flexible childcare that supports working parents. I have to say the cynic in me say that it appears that like the sister document More Great Childcare – all of this has already been agreed on – otherwise More Affordable Childcare is not worth the paper it is written on. We were led to believe that these qualification would not apply to childminders and that childminders qualifications would be looked at separately later on – once we knew if childminder agencies were going ahead. When parents hand their child over to the care of a childminder or nursery they are not just entrusting them with their child’s physical safety; they are also entrusting their child’s brain. So these qualification are going to be for childminders as well. Actually I have nothing against there being a standard qualification for all – after all NVQ’s, Diploma’s and even Early Years degree’s are standard across all settings. Early years educators will be expected to have English and maths GCSEs so that parents know the people they are entrusting their children to will have literacy and numeracy skills. This makes it sound like those without these GCSE’s do not have literacy and numeracy skills – and so already the ‘word is out’ and people like me will be seen as less able or even incapable. so again a under lying message that if not teacher led – it is not beneficial for children? These include a combination of teacher-led group activities where children learn to interact with each other; such as using shape sorter, using bricks and Lego to build, story-time – and free play and exploration. If I was a teacher I would be very upset to think the government thought these activities required the skills and knowledge from a teaching degree. If I was thinking that maybe these new qualifications might be worth doing – I would now be thinking -‘What a joke’ and not bother to even find out about them. What you need to be able to provide these sorts of activities is a sound understanding of child development and how children learn through play. Actually has anyone done any research into children who have just attended a childminder setting or been in the care of their parents without attending any other early years settings? I am not against higher qualifications or CPD and actively engage in CPD myself – but I am totally against the idea that it is only those who have higher qualifications that can provide high quality early childhood care and education. It works both ways some very highly qualified people are useless at hands on practice and some who lack any formal qualification are excellent at hands on practice. It is the tone and the underlying messages given that concern me – and why I am wondering if I should bother continuing to put so much into my childminding setting – so much time, so much money, so much effort and so much passion. If it was not for the children that I care for and the parents that rely on my service and who think I can be entrusted with their children, and a local authority who value what I do and the opportunities I provide to those children who receive their full free entitlement at my setting – I would give up because this government is continually making me feel under valued, inferior to other early years settings and have demoralised and depressed me so much that I am considering de registering once the children currently in my care go to school in September 2014. But maybe that is what the government want? For registered childminders like me – to add to the number of unemployed people.